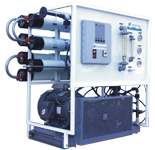 Sea Water RO Systems with capacities ranging from 375 to 7,600 GPD. These standard units are designed for commercial, industrial and marine applications. They can also be offered as containerized units, double pass design or custom built to project requirement. The PureMatch 100-Series Reverse Osmosis Drinking Water System represent a new concept in compact under-the-sink drinking water technology. Brackish Water RO Systems with microprocessor control. This series produces a permeate flows from 1500 to 9000 GPD. They are compact, economical and designed for light commercial applications. 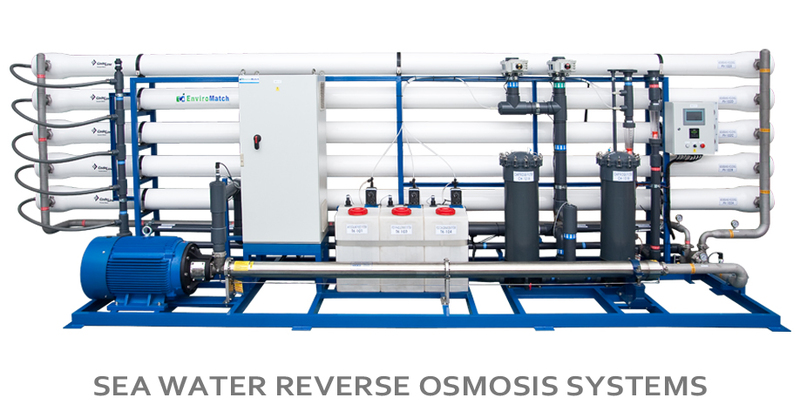 Brackish Water RO Systems with capacities ranging from 225,000 to 945,000 GPD. These standard units are designed for industrial applications. They can also be offered as containerized units, double pass design or custom built to project requirement.